Now in its third year, the Penny Pilgram George Women’s Leadership Initiative (PPGWLI) at Duke University has received funding from the George Family Foundation. In partnership with the Duke Center for Leadership Development and Social Action, PPGWLI strives to empower women to lead in any context. It is providing a space for women, who may or may not be new to women’s leadership, to learn together to be more confident in how they can affect change. This space is created in two ways: first, through women’s leadership events that are open free of charge to large numbers of students across campus. For example, a symposium for female students interested in entrepreneurship challenged women to recognize their well-deserved place in male-dominated organizations. Second, funding supports a cohort of 40 women who collectively attend programming and are each paired with a female mentor. In addition, each of the women in the cohort spends the year focusing on a project that is personally meaningful. The projects have ranged from a photographic exhibit of female neurologists to the development of an app that would combat sexual assault. Sarah Zimmermann, Class of 2018, joined the PPGWLI cohort because she feels “women should not face Duke alone, but rather be connected to a network of other empowered women.” She is now returning for a second year as a cohort leader because she wants to continue helping her fellow students find and build that network. 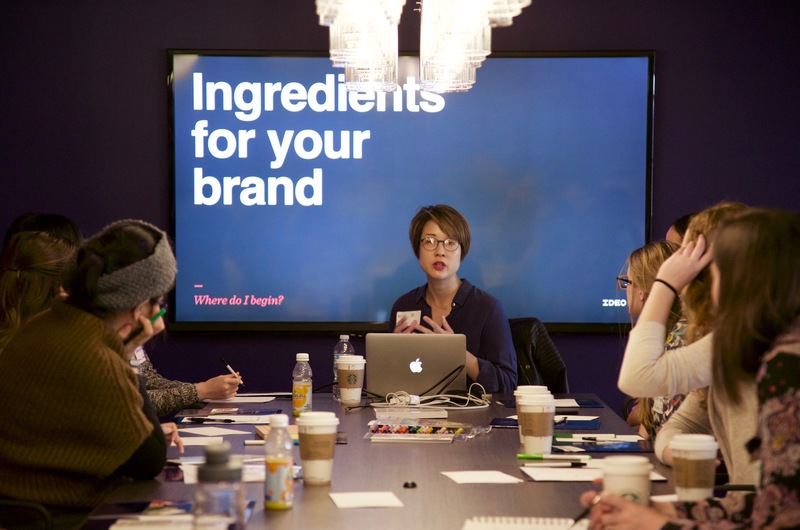 Students listen to Misa Misono discuss how to build their brand during "Lead.Innovate.Grow", a program for women interested in entrepreneurship co-sponsored by the PPGWLI. Kelsey Graywill '18 presents her final project on female neurosurgeons. Kelsey, a photographer and member of the PPGWLI cohort, used photos to tell their stories. Sarah Zimmermann '18 spent time living and researching in slums across India. Her final project for the WLI cohort was based on her findings around the social mobility of women who lived in those slums.